Liczba stron: 135 Jest to ujednolicona liczba stron, która ułatwi Ci porównanie długości książek. Każda strona Legimi to 200 słów. In novels like The Age of Innocence and The House of Mirth, Edith Wharton demonstrated a remarkable talent for exposing the dark underbelly of American high society. 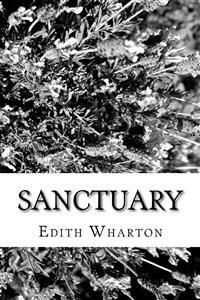 In Sanctuary, the tale of doomed marriage propped up by the protagonist's altruism, Wharton further explores the question of whether it is our nature or our upbringing that determines one's character and moral fiber. It is not often that youth allows itself to feel undividedly happy: the sensation is too much the result of selection and elimination to be within reach of the awakening clutch on life. But Kate Orme, for once, had yielded herself to happiness; letting it permeate every faculty as a spring rain soaks into a germinating meadow. There was nothing to account for this sudden sense of beatitude; but was it not this precisely which made it so irresistible, so overwhelming? There had been, within the last two months--since her engagement to Denis Peyton--no distinct addition to the sum of her happiness, and no possibility, she would have affirmed, of adding perceptibly to a total already incalculable. Inwardly and outwardly the conditions of her life were unchanged; but whereas, before, the air had been full of flitting wings, now they seemed to pause over her and she could trust herself to their shelter. She rose from the writing-table where, list in hand, she had been going over the wedding-invitations, and walked toward the drawing-room window. Everything about her seemed to contribute to that rare harmony of feeling which levied a tax on every sense. The large coolness of the room, its fine traditional air of spacious living, its outlook over field and woodland toward the lake lying under the silver bloom of September; the very scent of the late violets in a glass on the writing-table; the rosy-mauve masses of hydrangea in tubs along the terrace; the fall, now and then, of a leaf through the still air--all, somehow, were mingled in the suffusion of well-being that yet made them seem but so much dross upon its current. Kate Orme was not without an amused perception of her future husband's point of view; but she could enter into it with the tolerance which allows for the inconscient element in all our judgments. There was, for instance, no one more sentimentally humane than Denis's mother, the second Mrs. Peyton, a scented silvery person whose lavender silks and neutral-tinted manner expressed a mind with its blinds drawn down toward all the unpleasantness of life; yet it was clear that Mrs. Peyton saw a "dispensation" in the fact that her step-son had never married, and that his death had enabled Denis, at the right moment, to step gracefully into affluence. Was it not, after all, a sign of healthy-mindedness to take the gifts of the gods in this religious spirit, discovering fresh evidence of "design" in what had once seemed the sad fact of Arthur's inaccessibility to correction? Mrs. Peyton, beautifully conscious of having done her "best" for Arthur, would have thought it unchristian to repine at the providential failure of her efforts. Denis's deductions were, of course, a little less direct than his mother's. He had, besides, been fond of Arthur, and his efforts to keep the poor fellow straight had been less didactic and more spontaneous. Their result read itself, if not in any change in Arthur's character, at least in the revised wording of his will; and Denis's moral sense was pleasantly fortified by the discovery that it very substantially paid to be a good fellow. The sense of general providentialness on which Mrs. Peyton reposed had in fact been confirmed by events which reduced Denis's mourning to a mere tribute of respect--since it would have been a mockery to deplore the disappearance of any one who had left behind him such an unsavory wake as poor Arthur. Kate did not quite know what had happened: her father was as firmly convinced as Mrs. Peyton that young girls should not be admitted to any open discussion of life. She could only gather, from the silences and evasions amid which she moved, that a woman had turned up--a woman who was of course "dreadful," and whose dreadfulness appeared to include a sort of shadowy claim upon Arthur. But the claim, whatever it was, had been promptly discredited. The whole question had vanished and the woman with it. The blinds were drawn again on the ugly side of things, and life was resumed on the usual assumption that no such side existed. Kate knew only that a darkness had crossed her sky and left it as unclouded as before. Was it, perhaps, she now asked herself, the very lifting of the cloud--remote, unthreatening as it had been--which gave such new serenity to her heaven? It was horrible to think that one's deepest security was a mere sense of escape--that happiness was no more than a reprieve. The perversity of such ideas was emphasized by Peyton's approach. He had the gift of restoring things to their normal relations, of carrying one over the chasms of life through the closed tunnel of an incurious cheerfulness. All that was restless and questioning in the girl subsided in his presence, and she was content to take her love as a gift of grace, which began just where the office of reason ended. She was more than ever, to-day, in this mood of charmed surrender. More than ever he seemed the keynote of the accord between herself and life, the centre of a delightful complicity in every surrounding circumstance. One could not look at him without seeing that there was always a fair wind in his sails. "Denis, you look tired. I was afraid something had happened." "I am rather tired.--Is your father in?" "Papa?" She looked up in surprise. "He went to town yesterday. Don't you remember?" "Of course--I'd forgotten. You're alone, then?" She dropped his arm and stood before him. He was very pale now, with the furrowed look of extreme physical weariness. "Denis--are you ill? Has anything happened?" He forced a smile. "Yes--but you needn't look so frightened." "Your mother--?" she then said, with a fresh start of fear. "It's not my mother." They had reached the terrace, and he moved toward the house. "Let us go indoors. There's such a beastly glare out here." "They are to be sent out to-morrow?" "It's about the woman," he began abruptly--"the woman who pretended to be Arthur's wife." "She was his wife, then?" Peyton made an impatient movement of negation. "If she was, why didn't she prove it? She hadn't a shred of evidence. The courts rejected her appeal." "Well, she's dead." He paused, and the next words came with difficulty. "She and the child." "The child? There was a child?" "How do you know? My father said she had gone away--gone back to the West--"
"So we thought. But this morning we found her." He motioned toward the window. "Out there--in the lake." She drooped before him shudderingly, her eyes hidden, as though to exclude the vision. "She had drowned herself?" "One of the gardeners found them." "Horrible--oh!" She had swung round again to her pole. "Poor Denis! You were not there--you didn't have to--?" "I had to see her." She felt the instant relief in his voice. He could talk now, could distend his nerves in the warm air of her sympathy. "I had to identify her." He rose nervously and began to pace the room. "It's knocked the wind out of me. I--my God! I couldn't foresee it, could I?" He halted before her with outstretched hands of argument. "I did all I could--it's not my fault, is it?" "She wouldn't take the money--" He broke off, checked by her awakened glance. "The money? What money?" Her face changed, hardening as his relaxed. "Had you offered her money to give up the case?" "No--no; after the case was decided against her. She seemed hard up, and I sent Hinton to her with a cheque." "Oh, I don't know--the usual thing. That she'd only wanted to prove she was his wife--on the child's account. That she'd never wanted his money. Hinton said she was very quiet--not in the least excited--but she sent back the cheque." "Could there have been a mistake?" she asked slowly. She raised her head now, and fixed her eyes on his, with a strange insistence of observation. "Could they have been married?" "The courts didn't think so." "Could the courts have been mistaken?" He started up again, and threw himself into another chair. "Good God, Kate! We gave her every chance to prove her case--why didn't she do it? You don't know what you're talking about--such things are kept from girls. Why, whenever a man of Arthur's kind dies, such--such women turn up. There are lawyers who live on such jobs--ask your father about it. Of course, this woman expected to be bought off--"
"But if she wouldn't take your money?" "She expected a big sum, I mean, to drop the case. When she found we meant to fight it, she saw the game was up. I suppose it was her last throw, and she was desperate; we don't know how many times she may have been through the same thing before. That kind of woman is always trying to make money out of the heirs of any man who--who has been about with them." "But the child--the child was Arthur's?" Peyton shrugged his shoulders. "There again--how can we tell? Why, I don't suppose the woman herself--I wish to heaven your father were here to explain!" "Don't let us talk of it," she said. "You did all you could. Think what a comfort you were to poor Arthur." "I tried--I tried hard to keep him straight!" "We all know that--every one knows it. And we know how grateful he was--what a difference it made to him in the end. It would have been dreadful to think of his dying out there alone." "It was splendid of you to travel day and night as you did. And then that dreadful week before he died! But for you he would have died alone among strangers." He sat silent, his head dropping forward, his eyes fixed. "Among strangers," he repeated absently. She looked up, as if struck by a sudden thought. "That poor woman--did you ever see her while you were out there?" "I saw her--oh, yes, I saw her." He pushed the tumbled hair from his forehead and stood up. "Let us go out," he said. "My head is in a fog. I want to get away from it all." "It was my fault! I ought not to have asked so many questions." She turned and rang the bell. "I'll order the ponies--we shall have time for a drive before sunset."